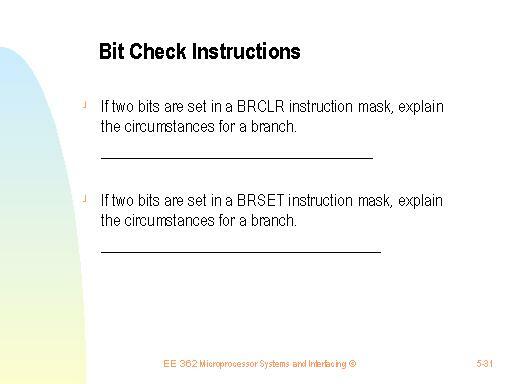 The BRCLR instruction branches when the contents of memory ANDed with the mask is equal to zero. The BRSET instruction branches when the inverted contents of memory ANDed with the mask is equal to 0. Note that these instructions still use a logical AND to perform the branch tests.